Step out of San Francisco with an excursion to Wine Tours & Tastings in Napa--about 1h 10 min away. Spend the 4th (Fri) on a tasty journey with a beer tour and tasting. There's lots more to do: steep yourself in history at Alcatraz Island, catch a ride on Cable Cars, have fun and explore at Exploratorium, and wander the streets of Union Square. 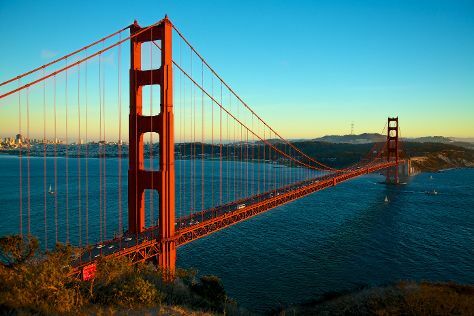 To see where to stay, ratings, reviews, and other tourist information, refer to the San Francisco trip planner . If you are flying in from United States, the closest major airports are San Francisco International Airport, Metropolitan Oakland International Airport and Norman Y. Mineta San Jose International Airport. In December, plan for daily highs up to 59°F, and evening lows to 45°F. Finish your sightseeing early on the 7th (Mon) so you can travel to Waiheke Island. Waiheke Island is known for adventure, wineries, breweries, wildlife, and outdoors. Your plan includes some of its best attractions: awaken your taste buds at some of the top wineries in the area, learn about winemaking at Obsidian Vineyard, explore the world behind art at Connells Bay Sculpture Park, and identify plant and animal life at Stony Batter. For ratings, traveler tips, more things to do, and other tourist information, read our Waiheke Island road trip planner. Use the Route module to find suitable travel options from San Francisco to Waiheke Island. Due to the time zone difference, you'll lose 20 hours traveling from San Francisco to Waiheke Island. Expect a bit warmer temperatures when traveling from San Francisco in January; daily highs in Waiheke Island reach 73°F and lows reach 61°F. Finish your sightseeing early on the 16th (Wed) so you can travel to Warkworth. Warkworth is a town on the Northland Peninsula in the upper North Island of New Zealand. 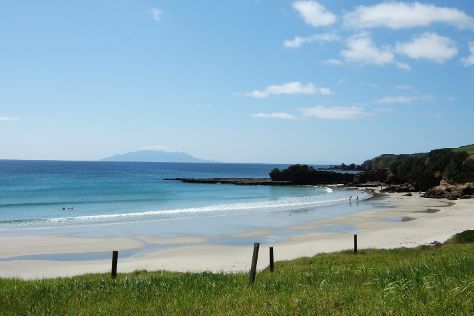 Start off your visit on the 17th (Thu): make a trip to Matakana Village and then immerse yourself in nature at Tawharanui Regional Park. Here are some ideas for day two: have some family-friendly fun at Snowplanet, enjoy the sand and surf at Orewa Beach, and then steep yourself in history at Couldrey House & Garden. To see photos, where to stay, reviews, and tourist information, read our Warkworth road trip tool . You can drive from Waiheke Island to Warkworth in 2.5 hours. While traveling from Waiheke Island, expect a bit cooler days and about the same nights in Warkworth, ranging from highs of 66°F to lows of 66°F. Wrap up your sightseeing on the 18th (Fri) early enough to travel to Muriwai Beach. 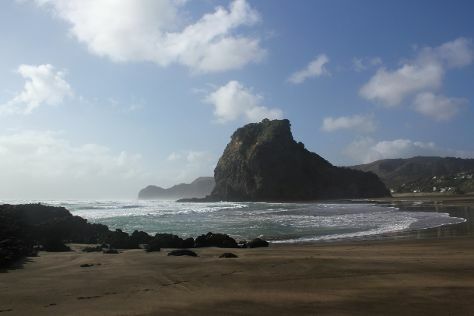 Start off your visit on the 19th (Sat): identify plant and animal life at Muriwai Gannet Colony, then enjoy the sand and surf at Karekare Beach, and then tour the pleasant surroundings at Piha Beach. Ask Inspirock to suggest an itinerary and make planning a trip to Muriwai Beach fast, fun, and easy. Traveling by car from Warkworth to Muriwai Beach takes an hour. In January, daily temperatures in Muriwai Beach can reach 66°F, while at night they dip to 66°F. Finish your sightseeing early on the 19th (Sat) so you can travel to Manukau. Manukau City is a former territorial authority district in Auckland, New Zealand, that was governed by the Manukau City Council. Kick off your visit on the 20th (Sun): admire nature's wide array of creatures at Auckland Zoo, stop by Pauanesia, and then take in panoramic vistas at Sky Tower. On the 21st (Mon), you'll have a packed day of sightseeing: get engrossed in the history at Auckland Museum and then indulge your senses at some of the top wineries in the area. To find more things to do, ratings, traveler tips, and more tourist information, use the Manukau trip builder website . You can drive from Muriwai Beach to Manukau in an hour. While traveling from Muriwai Beach, expect a bit warmer days and about the same nights in Manukau, ranging from highs of 75°F to lows of 62°F. Cap off your sightseeing on the 21st (Mon) early enough to travel to Sydney. 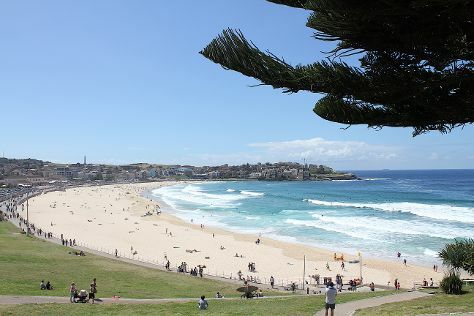 Go for a jaunt from Sydney to Manly to see Shelly Beach about 36 minutes away. Spend the 27th (Sun) exploring nature at Sydney Harbour National Park. Next up on the itinerary: take a stroll through The Rocks, take in nature's colorful creations at The Royal Botanic Garden, catch a live performance at Sydney Opera House, and kick back and relax at Bondi Beach. To see maps, more things to do, ratings, and more tourist information, you can read our Sydney trip builder . The Route module can help you plan travel from Manukau to Sydney. The time zone difference moving from New Zealand Standard Time to Australian Eastern Standard Time (New South Wales) is minus 2 hours. Expect a bit warmer temperatures when traveling from Manukau in January; daily highs in Sydney reach 82°F and lows reach 68°F. Finish your sightseeing early on the 2nd (Sat) so you can travel to New Delhi. Get out of town with these interesting New Delhi side-trips: Sai Ka Angan Temple (in Gurugram (Gurgaon)) and Inox (in Faridabad). There's much more to do: take in nature's colorful creations at Humayun's Tomb, steep yourself in history at Gandhi Smriti, appreciate the extensive heritage of Lodi Gardens, and take in panoramic vistas at Qutub Minar. To find where to stay, more things to do, other places to visit, and tourist information, go to the New Delhi trip itinerary maker website . You can fly from Sydney to New Delhi in 15.5 hours. You'll gain 4 hours traveling from Sydney to New Delhi due to the time zone difference. Traveling from Sydney in February, plan for a bit cooler nights in New Delhi, with lows around 52°F. Wrap up your sightseeing on the 11th (Mon) to allow time to travel back home.